Here is another photograph from the archives. When I lived in Bay Ridge, I used to walk to Coney Island. I enjoyed walking along the Belt Parkway on the sidewalk in the park between the highway and the bay. I loved Coney Island in the off season. 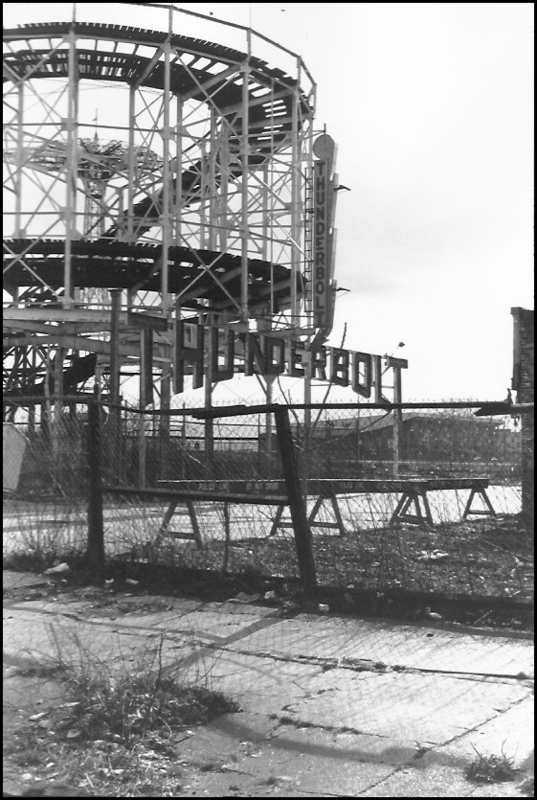 This entry was posted in Neuroscience and tagged 1990s New York, artistic process, Brooklyn, Coney Island, creative process, creativity, photograph, roller coaster, street photography, Thunderbolt. Bookmark the permalink.